The IFDP7TF is an indoor fusion dome housing w/ fixed camera bracket, tinted dome, and pendant mount from Videolarm which is able to offer high versatility with camera protection to deliver a well adaptive security installation. The IFDP7TF dome housing comes with compatibility for Pelco, Trinus, Sensormatic/AD, and Videolarm camera systems, and features 3 captive fasteners, a polycarbonate lower dome, a durable plastic top w/ UV protection, as well as an integral pan/tilt. The IFDP7TF dome housing also features a universal mounting plate, a 1 ½” pipe thread pendant mount, indoor compatibility, plus RoHS compliancy, and an IP66 rated exterior. 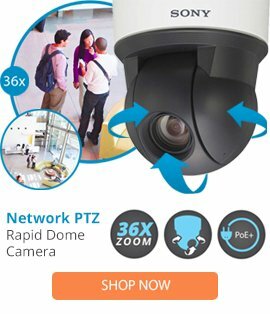 This camera housing is designed to provide high operation in a range of installations, and can easily be used for maximum camera protection for a security system.